The American Red Cross is a well-known humanitarian organization that provides services in five basic areas: community services that help the needy; communications services and comfort for military members and their families; the collection, processing and distribution of blood; educational programs on emergency preparedness, health and safety; and international relief and development programs. 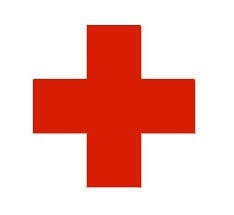 The American Red Cross was issued a corporate charter by the United States Congress, and was established in Washington, D.C. on May 21, 1881 by Clara Barton. During World War II, the American Red Cross sent thousands of care packages to Prisoners of War, as well as other comfort and care packages to soldiers serving overseas. The item in my collection is a thimble that was included in a sewing kit that was provided by the American Red Cross to members of the military during World War II.